Athletes spend their time in air-conditioned gyms, and the falling objects they face are usually just rubber balls. But don't think that Reebok doesn't understand what you need at work just because they make athletic shoes. 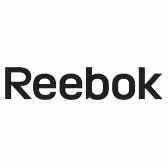 These Reebok Women's RB459 Black Athletic ... (see full details) (see specifications) #RBKRB459. Athletes spend their time in air-conditioned gyms, and the falling objects they face are usually just rubber balls. But don't think that Reebok doesn't understand what you need at work just because they make athletic shoes. These Reebok Women's RB459 Black Athletic Non-Metallic Composite Shoes combine the best of Reebok style with work-ready safety features. Silver Reebok detailing creates stunning contrast against the low-cut, black uppers of these Ketia shoes. They’re athletically styled and made with durable suede and mesh. This material is so good, it's used in athletic footwear and work boots alike. It resists rips, it stands up to wear, it even stays soft in wet weather and cold temperatures when you wear these composite toe shoes. Abrasion-resistant nylon mesh creates the durable inner lining of these women's shoes. Lightweight nylon is so tough it's resistant to chemicals, and it can definitely withstand tension and friction from your feet. The mesh construction keeps the material light and airy around your steps. It releases heat, instead of holding it in, so you stay cooler and healthier. Sponge rubber heel wedges are integrated into the EVA cushion inserts of these safety toe shoes. The lightweight EVA foam gives your steps softness. The shock-resisting rubber heel wedges add support. You get both in removable, easy-to-clean inserts that slide right out. More airy EVA foam in the midsole layers create another level of lightweight cushioning when you wear these athletic shoes. Wrap around shank stabilizers give your steps a little more support. The shanks keep arches lifted, and that keeps muscles from over-working when you move to take a step. While the foam diffuses shock and the shanks protect muscles, the soles of these Reebok shoes form a firm foundation or your steps. The rubber outsoles are made in an impact-absorbent tri-density design. You get three levels of shock-resistant strength. Bouncy rubber in these black shoes allows your steps to rebound with every footfall. Reebok Women's RB459 Black Athletic Composite Toe Ketia Non-Metallic Shoes are 100% non-metallic, made completely without metal. They’re security-friendly, but still very safe. The composite toes are lighter in weight than steel, but unlike steel composite won’t conduct electricity or temperature. It will guard your toes from impact. The composite toes are rated to meet ASTM F2413-05 protective safety standards. The extra wide toe design of these black shoes keeps the fit comfortable. Reebok knows what you need to work - you’ll find that out when you slip into a pair of these EH shoes. 3 out of 5 people found this product review helpful. These Nautilus shoes are very light weight, very attractive and very low price shoes. I wish they make in slip on too, though. I really like their design and colors combination. I always recommended to coworkers and friends to buy one of these. The price you pay it’s worth it. Thanks Working Person's Store. Reebok Shoes: Women's Black RB459 Ketia Composite Toe Athletic Work Shoes is being added to your cart.